It’s definitely older performer’s week here at BSH. Betty Bryant turned 88 last year before proceeding to issue her ninth CD - Project 88 after her age, and the number of keys on a piano. 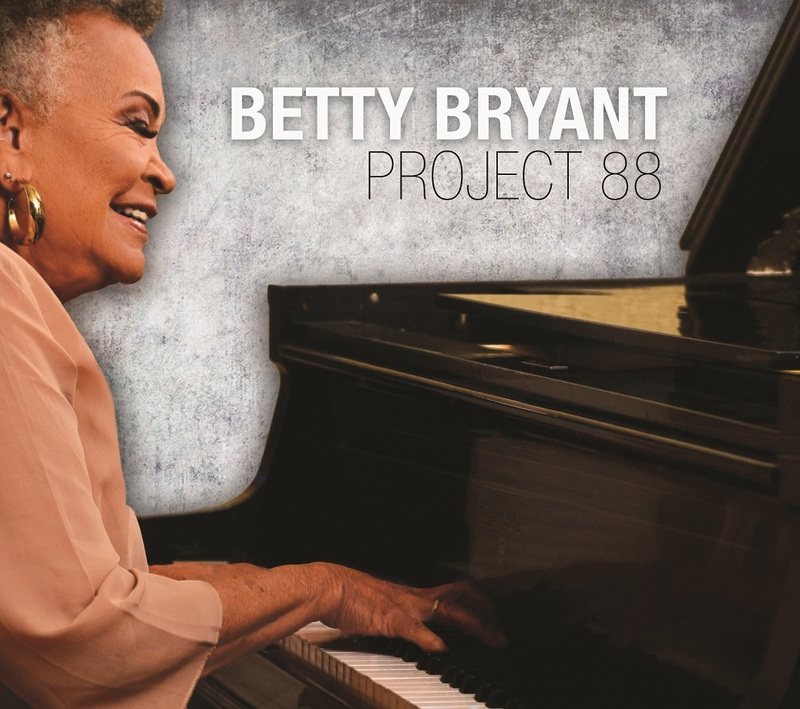 Ms Bryant, who does a lot more than singing, and playing the piano well, composed 5 of the songs and arranged 7 of the 10 tracks. Her voice sounds like that of a much younger woman, and why wouldn’t it? as she obviously knows her stuff. Listening, I was lost in admiration. A native of Kansas City, who now plays to packed houses in the Los Angeles area, has also performed internationally in places such as Tokyo, Brazil, Panama and the Middle East as well as hosting the annual ‘Betty Bryant Birthday Bash’ in Hollywood. The original songs are Love Came And Went (sung to a big band sound, with lively, witty lyrics); a bluesy Catfish Man: a Latin instrumental featuring flute which is called Cho Cho; My Beloved (another Latin number with a strong percussive beat); and the final track, appropriately titled It’s Hard To Say Goodbye, which consists of clever lyrics listing the lover’s good qualities, such as ‘you’re so ice cream at midnight’. Five standards: Lady Be Good (a piano-led instrumental); Just You, Just Me (neatly arranged as a vocal duet with James Gadson); But Beautiful (done as a heartfelt ballad); Ain’t Nobody’s Business if I do (featuring muted trumpet and a piano solo); and They Say It’s Wonderful (and it is wonderful, with bass and drum solos and two choruses from our singer. The CD is of course blessed with the playing of experienced musicians who all do their stuff well. Wow! Another beautiful review. Many thanks Ann Alex! And once again, thank you Holly Cooper, Robert Kyle and all the wonderful musicians whose collaboration went into making Project 88!